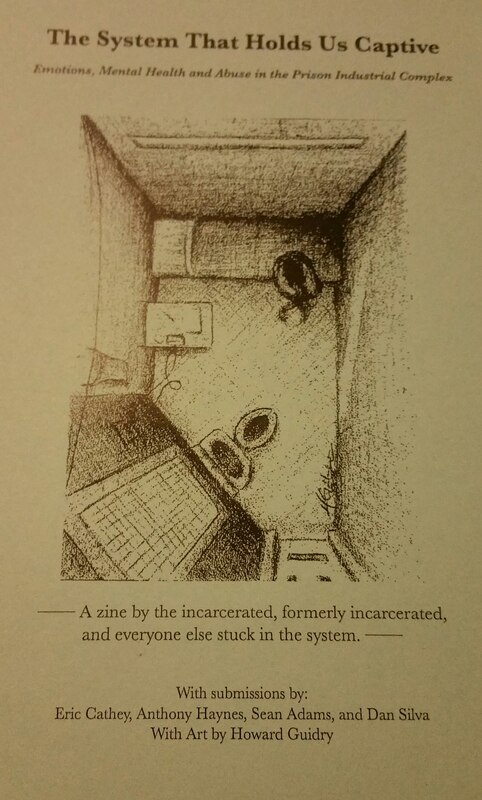 All of our publications and other items directly fund publishing and prisoner support/solidarity in various forms. No individuals profit from the items available here; although all donations go through our editor/publisher, she is currently doing this on a volunteer basis as are our writers and artists. Our primary goal is for prisoners’ voices to be heard and for donations to benefit the improvement of prisoners lives through organizations that they support. The System that Holds us Captive, published in 2014. A short (26 pages) ‘self-published magazine’. Suggested $3-5 free world, or free for prisoners. The zine may currently be purchased by contacting us directly. Payment through paypal, cash or money orders is accepted, all prices sliding scale. PDF version now available for online reading. Follow the link above to inquire. Small donation suggested. The System the Holds us Captive, vol. 2. This zine was released in January 2016 and it is 32 pages with over a dozen contributors. Contact us directly for physical or digital copies or inquiries about tabling or touring.